Does an infinite and all-powerful God really care about the everyday concerns of people? Jim Samra answers with an unequivocal and enthusiastic "Yes!" 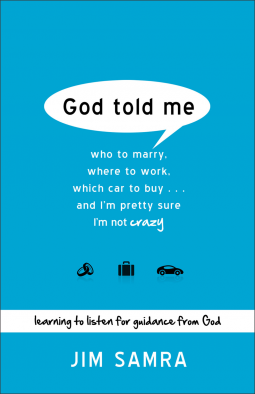 in this guide to hearing God's direction in everything. From the trivial and mundane to the life-changing, God cares about it all because it concerns his creatures, his creation, and his kingdom.